It’s been a week since Eid, and finally today I got myself to write something on the blog. It felt as if all the energy that was recharged during Ramzan got consumed in those three days of Eid. The whole week, I felt like I was suffering from a post-eid hangover, even though we had a great time with friends and family. Does this also happen to you guys? Today I thought of doing this month’s tea talk with you guys. For those who don’t know, this is a post where I ramble about whatever is in my head, spill it all out and hope that someone would relate to it on some level or the other. All the previous tea talks are listed here. So, just going to quickly summarise all that happened over the last few weeks, so I can find some closure and move on to a fresh new week to do fresh new stuff. 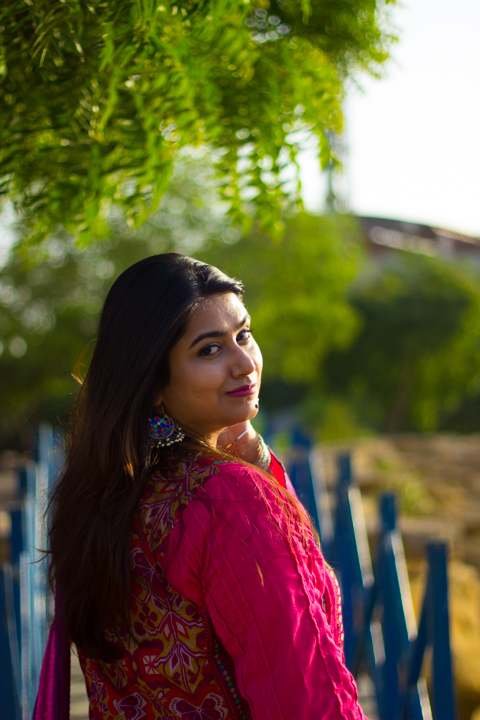 I did my very first giveaway with Saima from The Home Canvas and it was a lot of fun hosting it. See the winner here. I had a really fun time preparing the food for Eid. This was the first time I did everything single-handedly. Felt so much like a bahu 😛 If you follow me on Instagram, you can still see the preparations on my story highlights! I had prepared Mutton Pulao, Boondi Raita, Dumm Qeema, Haleem (not prepared by me) and Mango Trifle. Unfortunately, I was so exhausted that I forgot to take a good picture of the qeema and the trifle. Just like we dress up for Eid, I also always try to clean and cosy up things around the house before Eid. This is a practice that almost all desi homes follow I guess LOL. Cute coasters that I got as a gift from my Auntie. They also act as a teether for my newphew-in-law when we baby sit him LOL. Right on chaand raat I got a surprise package from Woodpecker (I blogged about them earlier here), who sent me a basket full of my favorite goodies! So generally I had a pretty awesome Eid but the week after, I felt like a real zombie. Still trying very hard to regain some strength and get back to blogging. I think I miss the calm and quiet of Ramzan evenings. Post-iftaar was really an ideal time to chill. I have some content lined up for the next few weeks. I’m also thinking about some home decor related content that I want to do, but haven’t quite been able to structure anything yet. So have got to start working on that. I hope you all have a fabulous weekend and I’ll see you next week with brand new stuff inshaAllah.